Having a hard time keeping up with the latest innovations, like virtual reality and artificial intelligence? Learn more about emerging technologies and their effect on us all at our Tomorrow's Technology Today Panel at 6 p.m. Wednesday, July 12 at Harold Washington Library Center. Panelists are Kris Hammond, co-founder, Narrative Science; Julie Friedman Steele, Chairman of the Board, World Future Society; and Shelley Stern Grach, Director, Civic Engagement, Microsoft. A hands-on interactive expo featuring demonstrations of new and exciting technologies follows the panel. You'll have the opportunity to experience and learn about technologies such as 3D printing, virtual reality headsets, haptic feedback tablets, prosthetic control, drones and more. 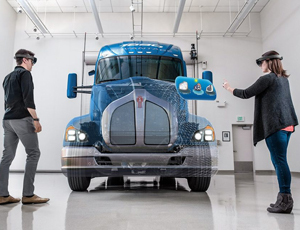 You may also experience Microsoft's Mixed Reality HoloLens. The panel and expo are free and open to the public. Earlier that day, Chicago Innovation, The Executives’ Club of Chicago and Chicago Public Library are partnering to present the second annual Chicago Innovation Summit. Featuring top innovation minds and leaders, this half-day event unveils new ideas and strategies to help grow your business. It also features the showcase of the innovative technologies of tomorrow. The summit is a ticketed event. For more information and tickets, visit Chicago Innovation Summit on Eventbrite.